As England made its global mark around the world beginning in the 16th Century, a distinctive style evolved. Known as British Colonial, it is one that maintains a relaxed refinement with obvious adaptations to a culturally rich life far away from home. There is a mix of light colors in draperies and on walls that balance the darker hues of furniture. 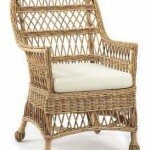 Textures play a large part in this type of decor, which is where wicker finds a perfect niche. 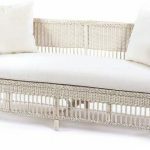 Wood, rattan and bamboo along with leathers and linens may seem like disparate components, but they all come together to define the regally exotic, often romantic look. From the late 16th Century into the early 20th Century, England’s rule was widespread. India, Australia, parts of Africa and Canada fell to Queen Victoria’s regime. Numerous South Sea Islands were also under British Rule. Citizens, the military and their families arrived in these far-flung places to oversee their home country’s business and government interests. They soon discovered climates were inhospitable to the furnishings they had brought along, and local craftsmen were employed to make new pieces, incorporating the same styles but utilizing hardier materials. 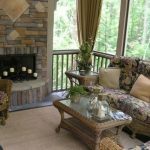 Heavier fabrics went by the wayside with replacement in linens and lightweight wovens for upholstery, floor coverings and window treatments. 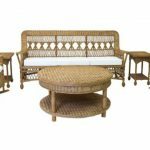 Expatriates also embraced the use of rattan and bamboo along with such woods as teak and mahogany. Through the following decades, a style began to emerge that saw many influences as travelers returned to England with their new accessories in tow. Enjoying the beauty of British Colonial styling does not require large verandas, towering domed windows or even a tropical breeze. A careful balance of furniture components and accessories, evened out with accent pieces and classic texturing will transform any space. Traditionally, seating tends to be smaller in scale based on adaptations the colonists originally made for traveling. That should not be limiting, as larger pieces are often a better choice in high-ceilinged or great rooms. Ornate embellishments on furniture are often limited to turned or cabriole legs, roll-top crests and curving arms. 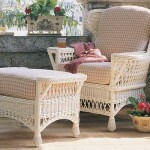 Wicker panels on sides, backs and skirts are common enhancements. 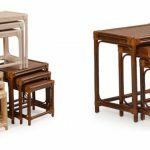 Bamboo and rattan cane are just as welcome, especially in natural, black or dark brown finishes. 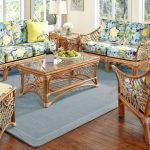 Representative of the tropics, these pieces will be even more dramatic paired with exotic fabric choices in seat cushions. 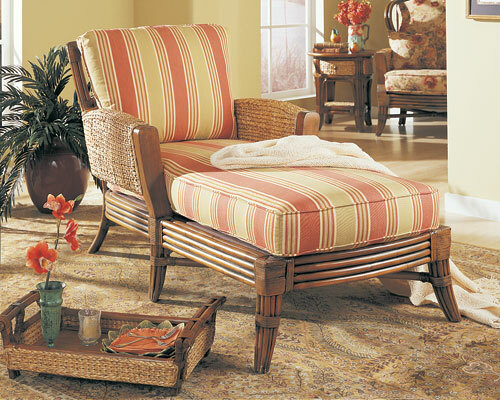 Islander influences allow for some brighter hues in solid color cushions or accenting pillows. 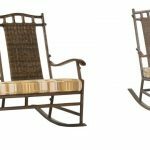 Accessorizing with wicker is another option. When selecting side tables and baskets, see how lighter colors might blend in if a room is already filled to the brim with dark furnishings. 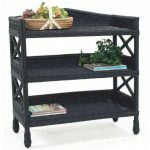 Over sized planters with woven bases are an essential when adding indoor palms, ferns or other large-scale plants. Trunks of any type will be fitting choices for living areas and bedrooms. Woven rattan suitcases complete with latches and hinging provide an interesting perspective. With their bountiful storage capabilities, they lend a natural air of early travels. A final touch to British Colonial styling is a bit of flash from finer elements. Smaller pieces might include porcelain plates or pewter and silver items such as candlesticks or serving trays. Brightly patterned china jars, elephant-themed bookends on shelves and a table topped with polished stone are signature components that are striking in contrast. Not too formal and not too casual, the spirit of British Colonial decor allows for flexibility with favorite pieces, heirlooms and a taste for adventure without leaving home.